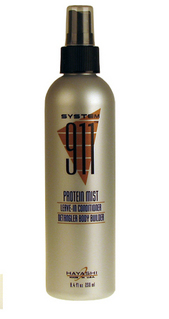 911 PROTEIN MIST 8 oz., A superb detangler and bodifier that boosts hairs texture, shine and condition. Effective as a pre-wrap for perms, post perm, it eliminates chemical odors. QUIKK SPRAY 10 oz., A hard hold, fast dry working & finishing Spray. 911 Daily Remedy Conditioner - DISCONTINUED 16.9 oz - Other sizes/options. This item is DISCONTINUED by the manufacturer. A highly moisturizing Conditioner for damaged, normal or color-treated hair. Seals color, moisturizes and strengthens with a silky finish and incredible shine. 911 Daily Remedy Conditioner - DISCONTINUED 8.4 oz - Other sizes/options. 911 Daily Remedy Conditioner - DISCONTINUED 32.5 oz - Other sizes/options. 911 Protein Mist, Leave-in Conditioner 8 oz. - Other sizes/options. 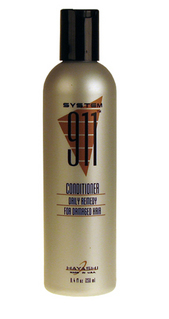 911 Protein Mist, Leave-in Conditioner 32 oz. - Other sizes/options. 911 PROTEIN MIST 32 oz., A superb detangler and bodifier that boosts hairs texture, shine and condition. Effective as a pre-wrap for perms, post perm, it eliminates chemical odors. Color Guard Conditioner 8.4 fl. oz. - Other sizes/options. Hayashi Color Guard Conditioner was specially developed to retain your hair color. This conditioner will supply the hair follicle with moisture and added proteins. It will help prevent the loss of hair color caused by environmental and life style damage. Color Guard Conditioner 32.5 fl. oz. - Other sizes/options. 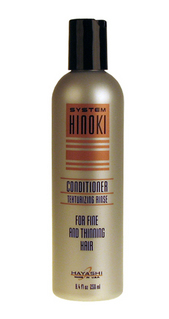 Hinoki Conditioner, for Fine & Thinning Hair 8 oz - Other sizes/options. HINOKI CONDITIONER, A weight-free detangler and texturizing rinse. Leave in hair for a few minutes to ensure proper penetration of hair fiber and a silky smooth finish. Hinoki Conditioner, for Fine & Thinning Hair 16 oz. - Other sizes/options. Hinoki Conditioner, for Fine & Thinning Hair 32oz - Other sizes/options. Hinoki Cond., A weight free detangler and texturizing rinse. Leave in hair for few minutes to ensure proper penetration of hair fiber and a silky smooth finish. Hinoki Plus 10.1 fl oz. HINOKI THICKENER, A highly concentrated formula of weight-free ingredients that infuse the hair fiber with increased diameter. Builds healthy body, texture and shine. Quikk Spray - fast dry, fine mist, design spray, humidity resistant, enduring shine. 911 Shampoo, Dry, Damaged Hair 8.4 oz. - Other sizes/options. 911 SHAMPOO, Emergency repair for dry damaged hair, highly moisturizing. Conditions, protects and adds body. Will not affect freshly permed or color treated hair. 911 Shampoo, Dry, Damaged Hair 32 oz. - Other sizes/options. 911 SHAMPOO 32oz., A highly moisturizing shampoo for over processed or chemically treated hair. Will not affect freshly permed or color treated hair. Color Guard Shampoo 8.4 oz. - Other sizes/options. Color Guard Shampoo- Specially developed to retain your hair color. Moisturizing ingredients replenish and nourish every hair follicle. Does not contain color stripping sulfates. Color Guard Shampoo 32.5 oz. - Other sizes/options. Daily Shampoo 8.4 fl. oz. Hinoki Shampoo, Fine & Thinning Hair 8 oz - Other sizes/options. HINOKI SHAMPOO, Adds volume, body and shine and assists in reducing oil and dandruff. A gentle purifying and super volumizing cleanser. Hinoki Shampoo, Fine & Thinning Hair 32 oz - Other sizes/options. HINOKI SHAMPOO, A gentle purifying and super volumizing cleanser. Purify-Clarifying Shampoo 8.4 oz. - Other sizes/options. CLARIFYING SHAMPOO FOR ALL HAIR TYPES REMOVES TRACE METALS, CHLORINE DEPOSITS, RESIDUE AND OIL AS IT CONDITIONS. WON T STRIP COLOR. GOOD BEFORE CHEMICAL SERVICES. Purify-Clarifying Shampoo 32.5 oz. - Other sizes/options. TRIPLE PLAY MOUSSE 8 oz. TRIPLE PLAY MOUSSE is no ordinary mousse. Its rich, conditioning formula is quickly absorbed by all hair types and fulfills every styling need: hair can be set, shaped blown dry, or left to dry naturally. TRIPLE PLAY MOUSSE boosts hair s texture, volume, and shine. No matter how much you use, this adjustable styling foam can be layered on for as much smooth, supple, silky hold as desired. Volume + - design mist, instant volume, firm texture, lasting shine. 911 Emergency Pak, Reconstructor 1 fl. oz. - Other sizes/options. 911 Emergency Pak - For dry, brittle, over processed, permed or color treated hair. A fast acting reconstructive, moisturizing formula that repairs hair on contact. 911 Emergency Pak, Reconstructor 8.4 fl. oz. - Other sizes/options. 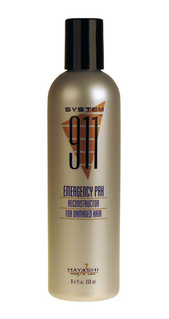 911 Emergency Pak, Reconstructor 16.9 fl.oz. - Other sizes/options. 911 Emergency Pak, Reconstructor 32 oz. - Other sizes/options.